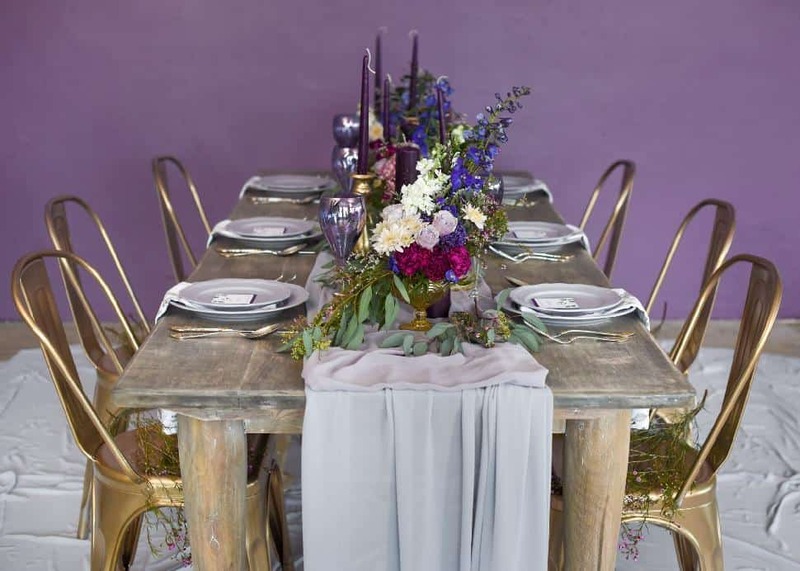 When Pantone announced ultra violet as its 2018 Colour of the Year, we wondered. 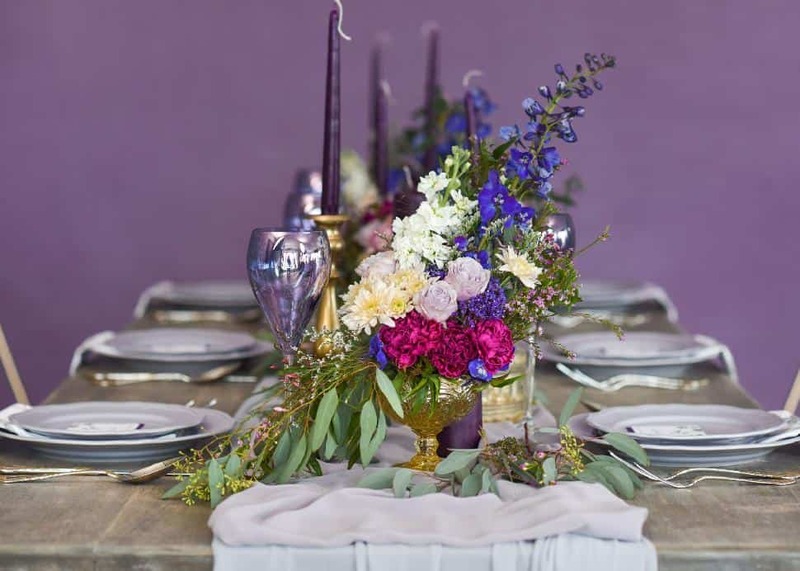 It's an intense, dark, cooler shade that can be a bit overwhelming for use as the main colour for a wedding, especially since we are still in the middle of the blush pink trend. 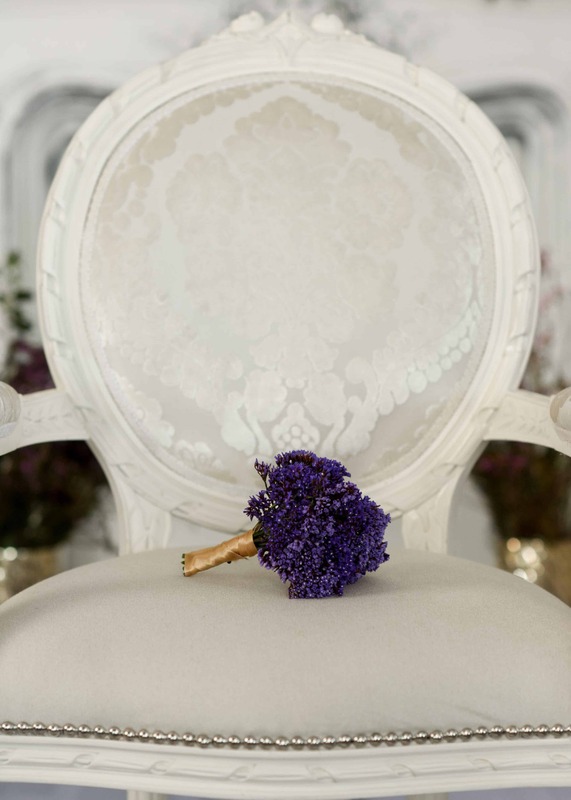 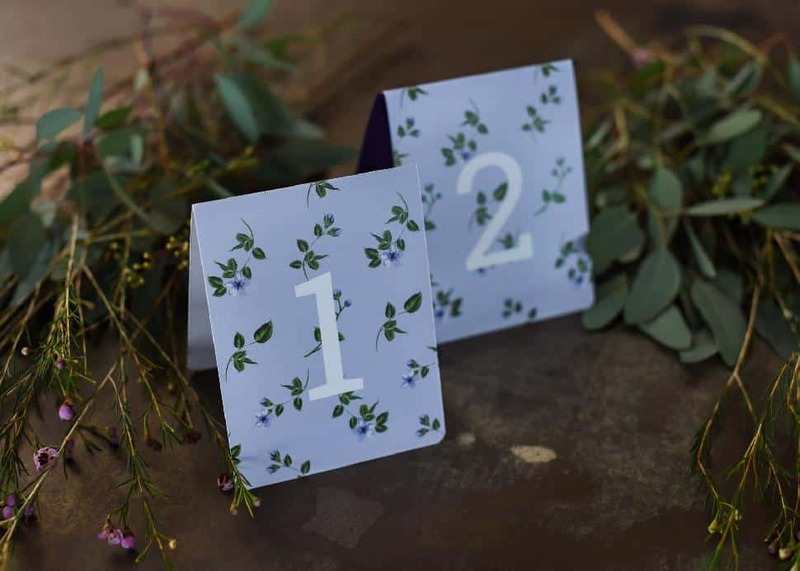 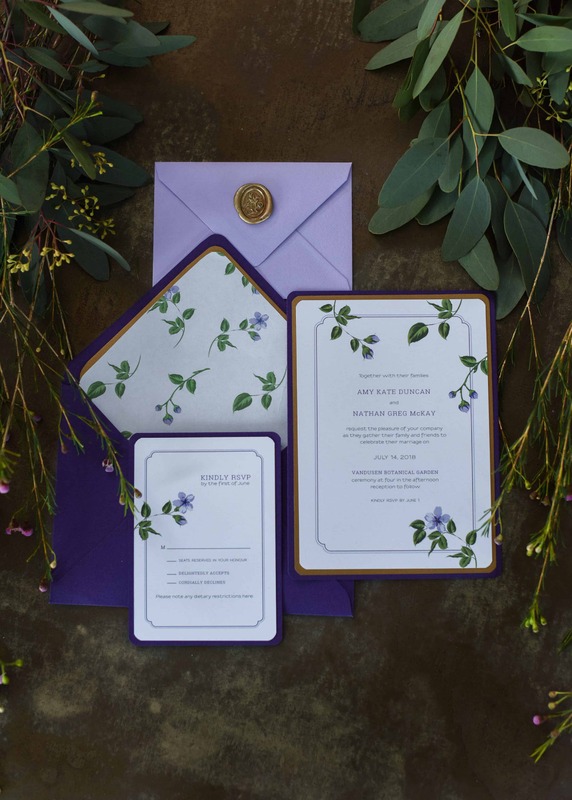 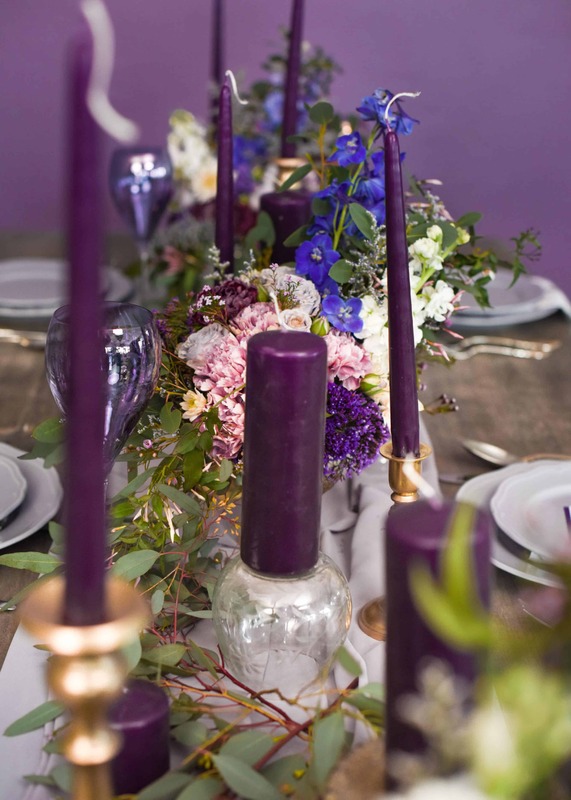 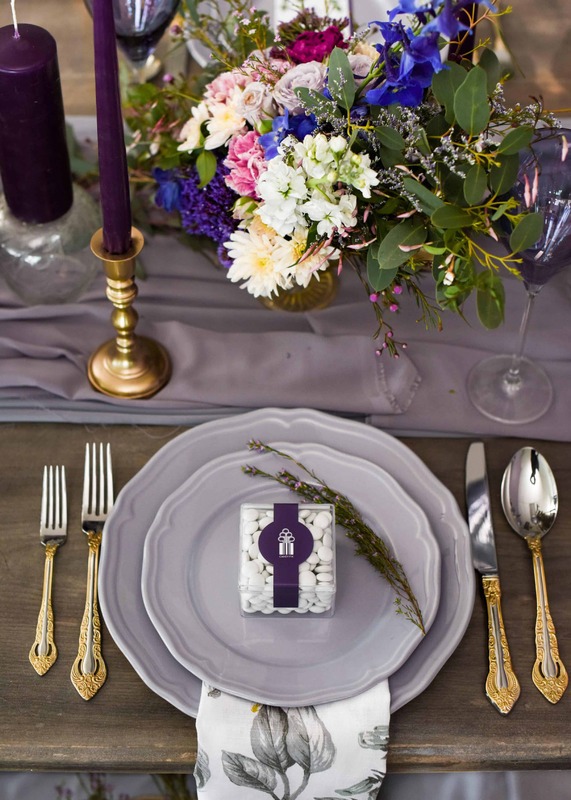 To explore the creative possibilities, we used ultra violet as a key shade for both reference and inspiration, incorporating a gorgeous colour scheme into our editorial that highlights warmth, romance and elegance. 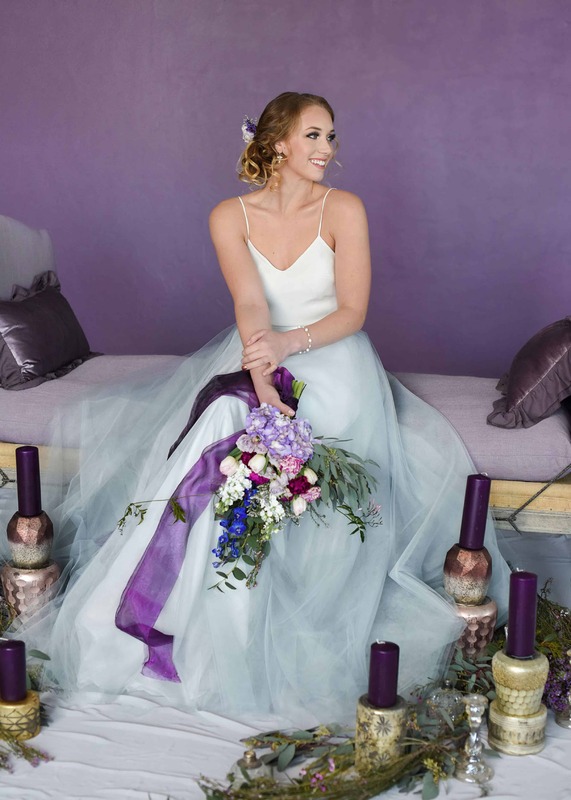 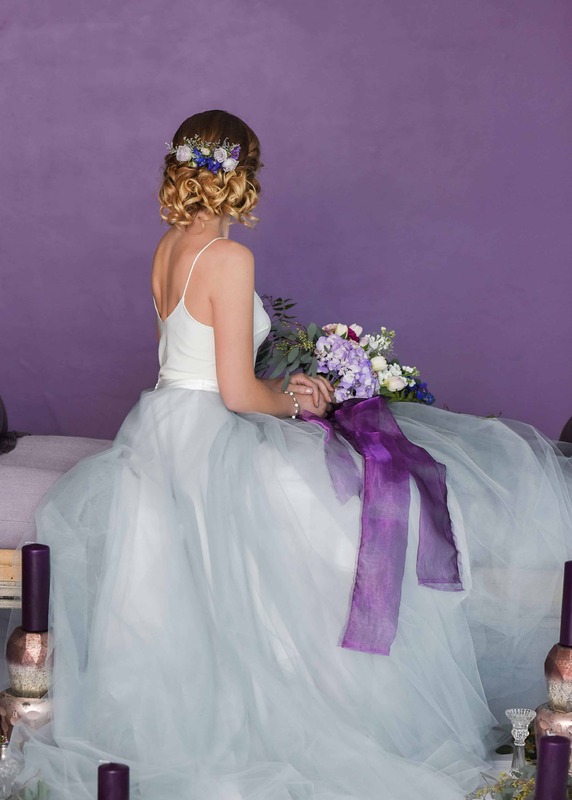 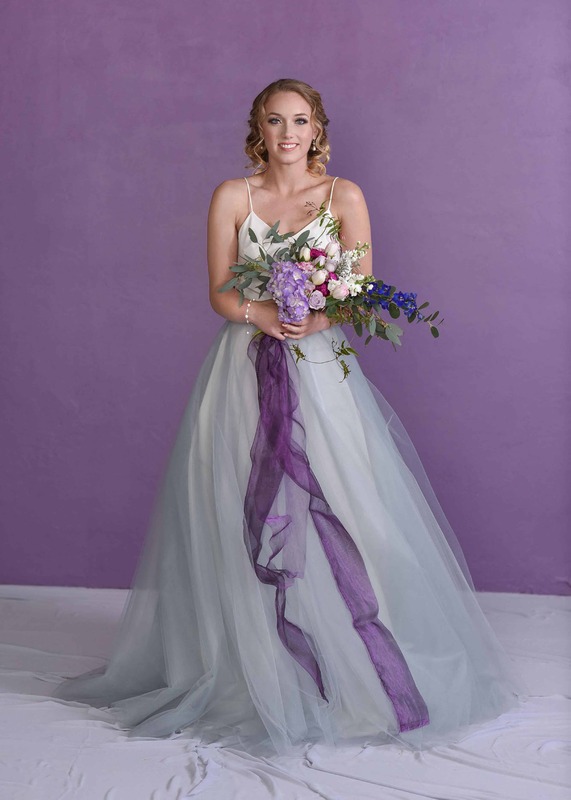 We created two bridal looks for this editorial: one with a lilac daybed framed by a gorgeous warm purple wall; and a second showcasing a warm white lounge room featuring hints of purple to create a beautiful visual dynamic between the bride and the decor. 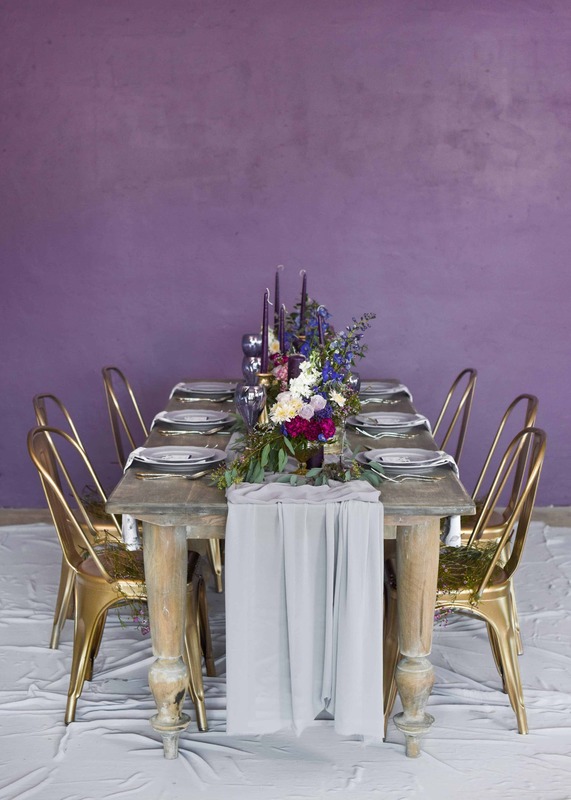 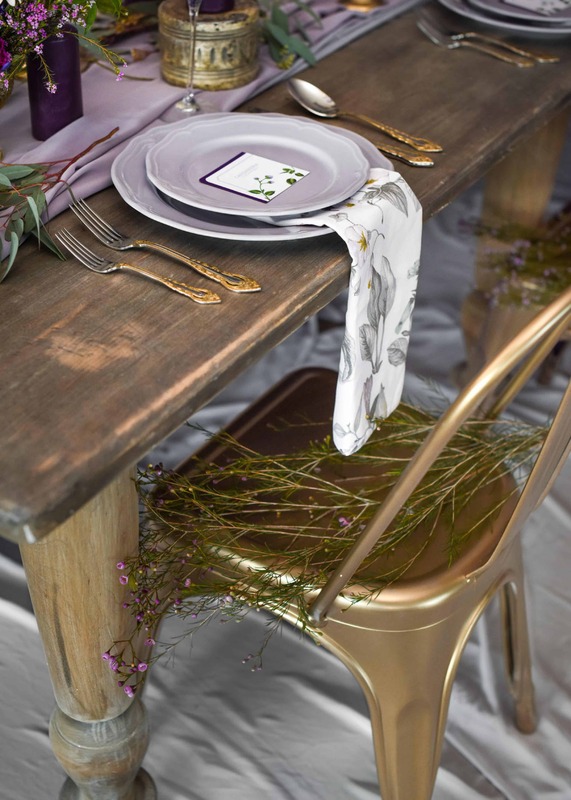 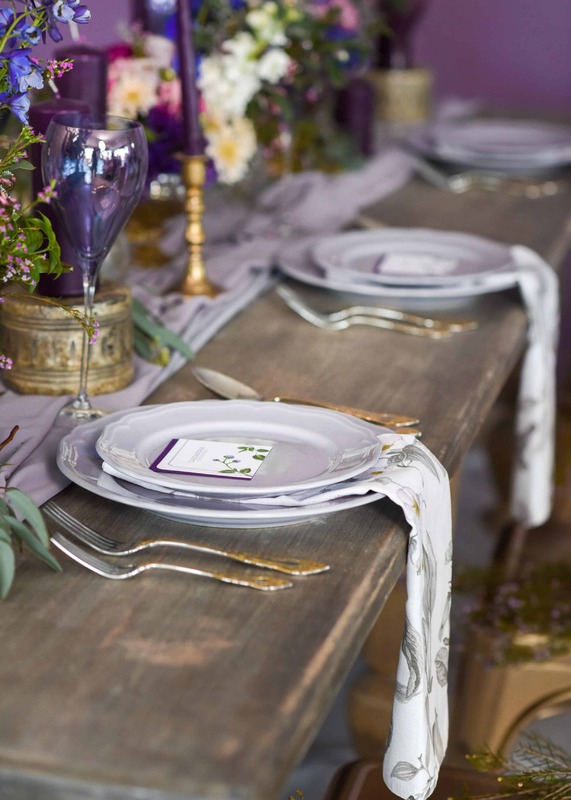 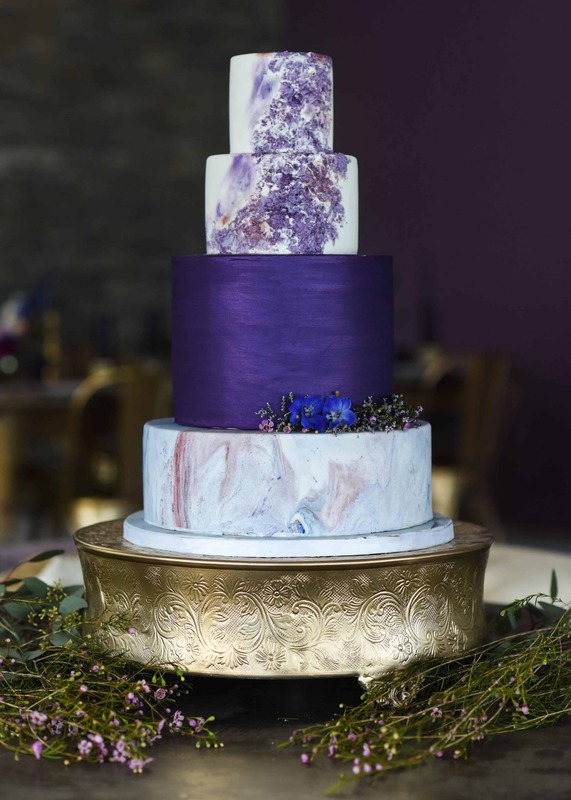 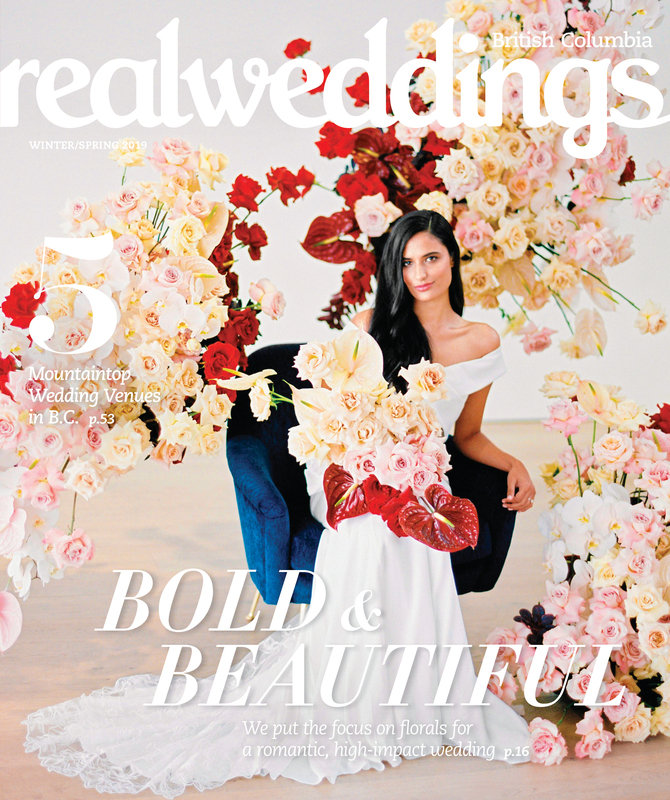 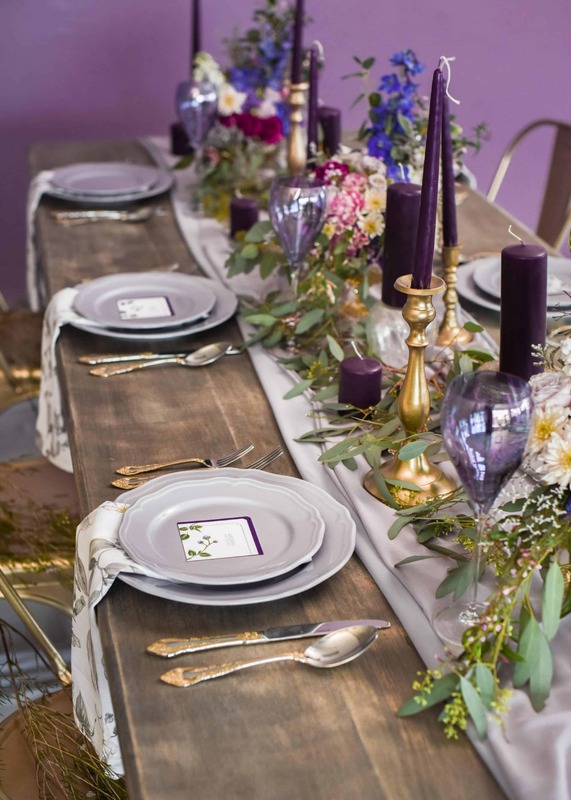 The shoot is tied together with a table setup featuring an amazing wooden harvest table, and gold metal chairs, as well as a four-tier wedding cake, all framed by the warm purple wall featured in the first bridal look.